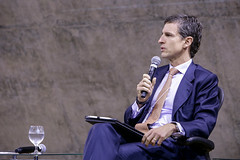 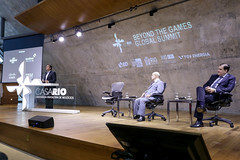 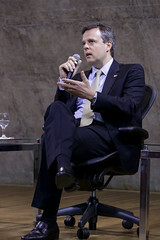 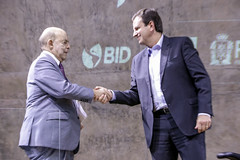 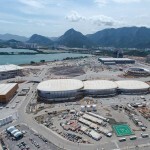 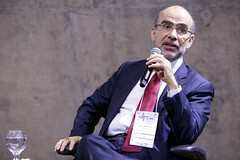 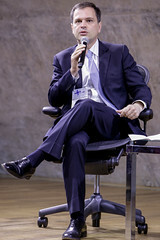 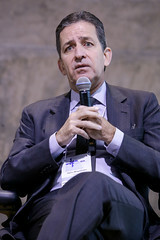 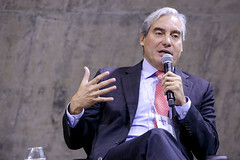 Over 300 leaders from industry and government gathered today, August 4, at Fundação Getúlio Vargas, to discuss the future of the economy and business during the Beyond the Games Global Summit, an event promoted by the Inter-American Development Bank (IBD) and Rio Negócios as part of the Casa Rio program. 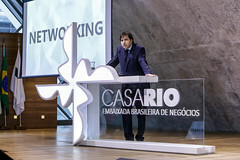 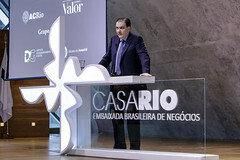 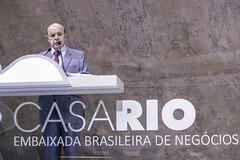 The event, part of the Casa Rio program, had opening remarks by mayor Eduardo Paes, acting governor Francisco Dornelles and president of Fundação Getúlio Vargas, Carlos Ivan Simonsen. 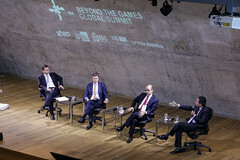 The first panel of the Beyond the Games Global Summit dealt with trade and investment opportunities in the Americas, with the panelists arguing that there are very attractive opportunities in infrastructure, since banks are not able to handle the demand for investments on their own. 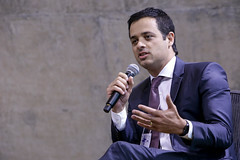 The panel was comprised of Ricardo Marino, CEO Latin American Operations at Itaú; José Olympio Pereira, president of Credit Suisse Brazil; Hélio Magalhães, CCO of Citi Brazil; and Alexandre Rosa, vice-president for countries at the IDB. 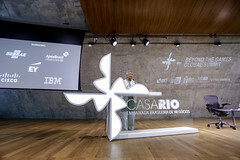 Next, there were three keynotes by distinct authorities. 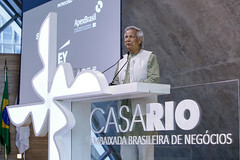 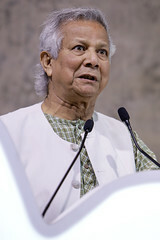 Muhammad Yunus, 2006 Nobel Peace Prize laureate, discussed his micro loan project and what he calls social business, a new way to invest in projects with the goal not of obtaining profit, but to improve quality of life in developing countries. 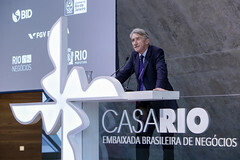 Conrad Bird, architect of the GREAT Britain campaign, spoke on the origins of the initiative and the positive effects it had on attracting investments to the UK. 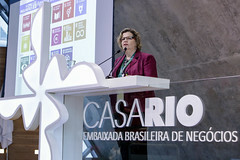 In addition to those two, Nadine Gasman, UN Women representative in Brazil, made a speech on the advantages gender representation brings to businesses. 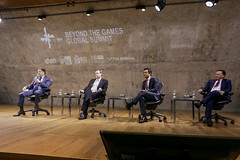 The second session of the Beyond the Games Global Summit, entitled “The view from the boardroom”, debated, in two panels, the impact of technology and the new generation of consumers in business formats. 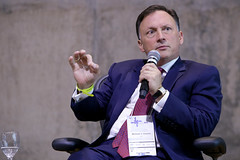 The first panel discussed the impact of technology, with the panelists arguing that the Big Data revolution will allow for there to be exponencial advances in how businesses are conducted. 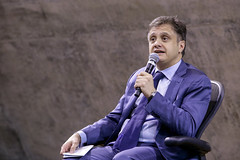 Distances will be shortened drastically, people will be connected like never before, however, like every period in which change is brought forth dramatically, there will be turbulence along the way. 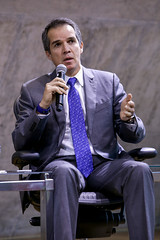 The panel was comprised of Rafael Santana, CEO and president of GE LatAm; Rodrigo Kede, president of IBM LatAm; Michael J. Inserra, Americas Deputy Managing Partner at EY; and Nicola Calicchio, Director LatAm at McKinsey & Company. 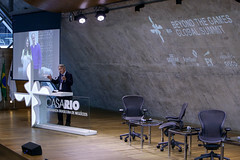 The second panel dealt with the impact of the new consumer on business, with the panelists saying that the technological revolution gave consumers a perception that they can demand a more customized experience. 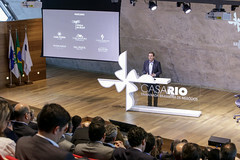 With the proliferation of smartphones and cross platform synergizing between digital services and major brands, the concept of brand recognition has become something more ellusive to characterize. 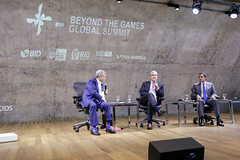 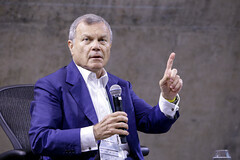 The panel was comprised of Alfredo Rivera, President of the Latin America Group of The Coca Cola Company; Eduardo Coello, Group Executive for Latin America at Visa; and Sir Martin Sorrell, CEO of WPP.